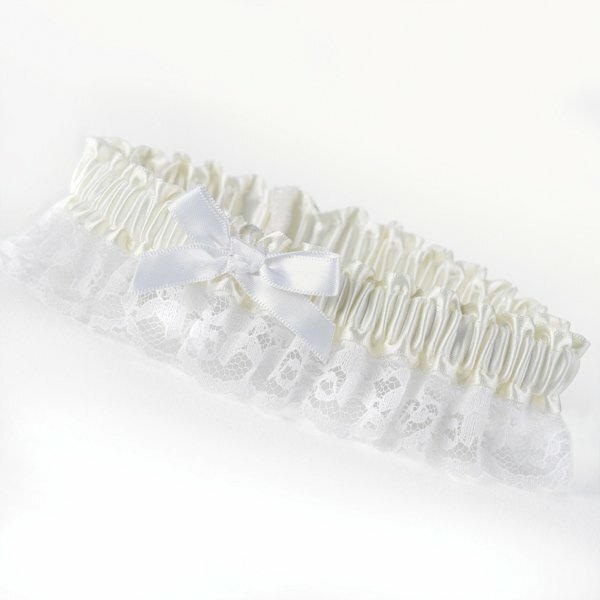 Perfect for tossing in the traditional reception competition, our petite ivory garter has a white satin bow and delicate white lace trim. For a bride to choose two garters is common. Storing one garter with the bridal gown as a keepsake is a traditional practice. The other is usually retrieved by the groom and tossed to a crowd of single men and single groomsmen, of course, during the wedding reception. This garter is designed to fit most brides.